Educator pushes back on claims children's book series promoted by Israeli schools is anti-religious. Controversy erupted after a group of well-known rabbis including Chief Rabbi of Tsfat Rabbi Shmuel Eliyahu and Rabbi Shlomo Aviner called for the books in a project meant to encourage families to purchase recommended books and read them at home, to be removed from the reading lists of Israeli schools. 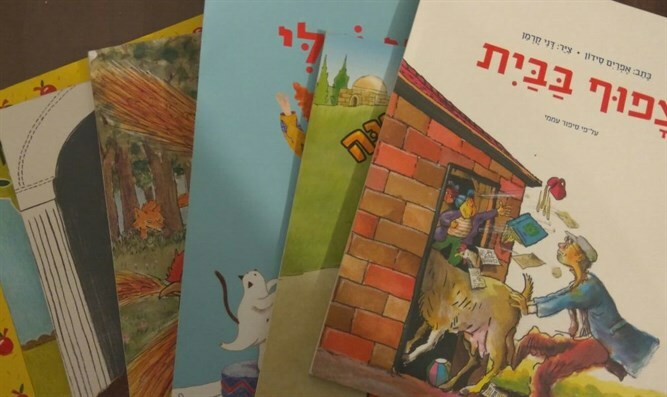 The rabbis complained that the 'Sifirat Pajama' (Pajama Library) book collection, which parents are required to purchase in bulk, but at reduced cost thanks to the Education Ministry's partnership with the Greenspan Foundation, for their children by Israeli schools, contains material that is anti-religious and denigrates the religious community in Israel. Arutz Sheva has not yet obtained details of the rabbis' objections. S., an educator who asked to remain anonymous, said that the controversy is overblown, and that the children's books in the collection are harmless. "This is not the first time such claims have arisen." S said in an interview with Arutz Sheva. "The last time these claims were made parents approached me and asked my opinion, so I went to examine the matter in-depth." According to S., he examined both the written content and the illustrations in the books in question. "All the books I checked were sweet and wonderful, full of good and suitable values and a love for humanity. And they were well-written. Even the illustrations were beautiful. There were minor instances where I didn't like something, but overall [the books] were very beautiful." S. said of the results of his examination. S. said that she does not know why any rabbi would complain about those books. If they'd point out things that need improvement, it would be possible to listen and understand. But [these calls] to ban the entire collection and these attacks are not warranted and harm the initiators of the program and the donors who only wanted to enrich the children of Israel and make them happy." Ashkenazi Chief Rabbi David Lau has asked the head of the Religious Education Authority in the Education Ministry to recheck the book list.